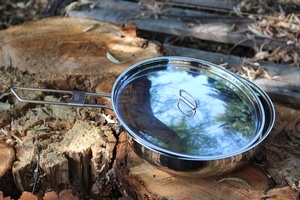 Dave Canterbury and the Pathfinder School folding Skillet set. 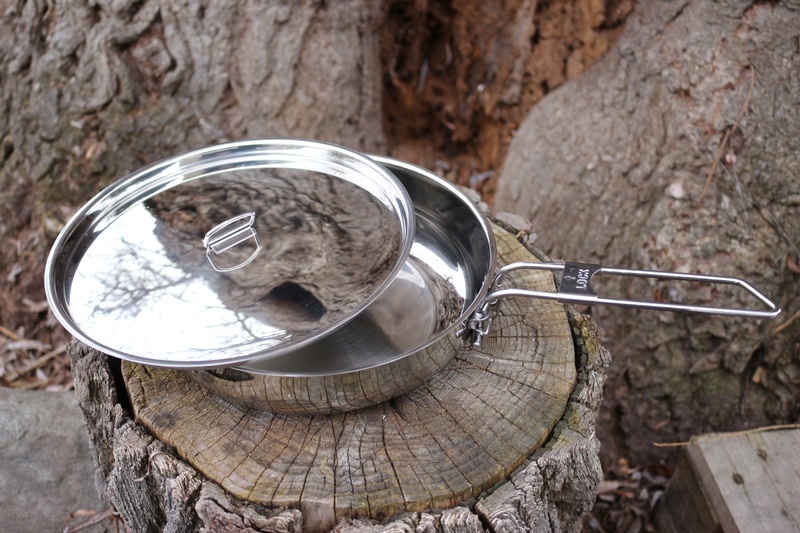 This is a very well made Skillet, solid Stainless steel with heavy base, its a simple and practical tool. 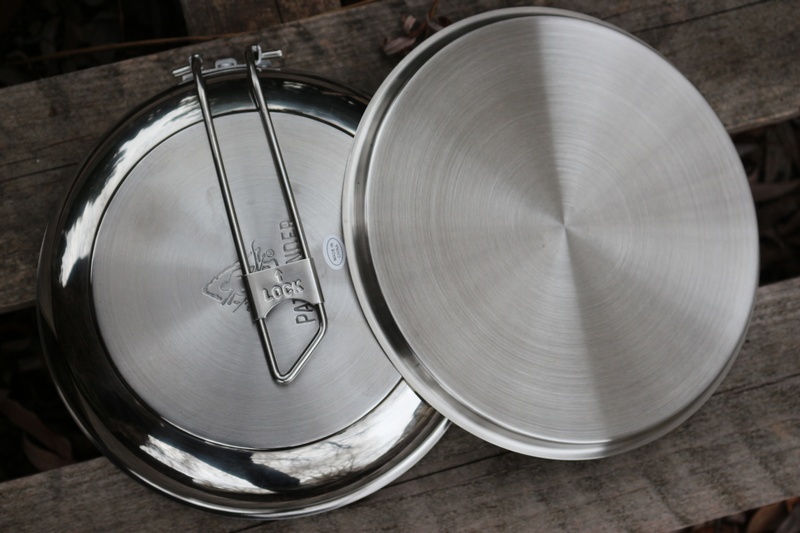 Comes with lid with 'D' ring, handle folds away for ease of storage. Nice item!. 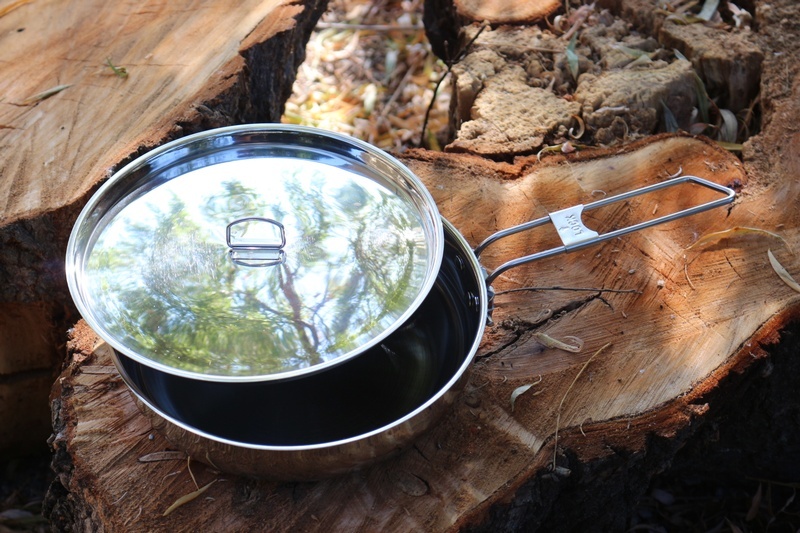 Purchase through PayPal by using the "Add To Cart" button above or use the form below to order the Pathfinder Folding Skillet and Lid Set . Feel free to contact us if you have any questions about the Pathfinder Folding Skillet and Lid Set .